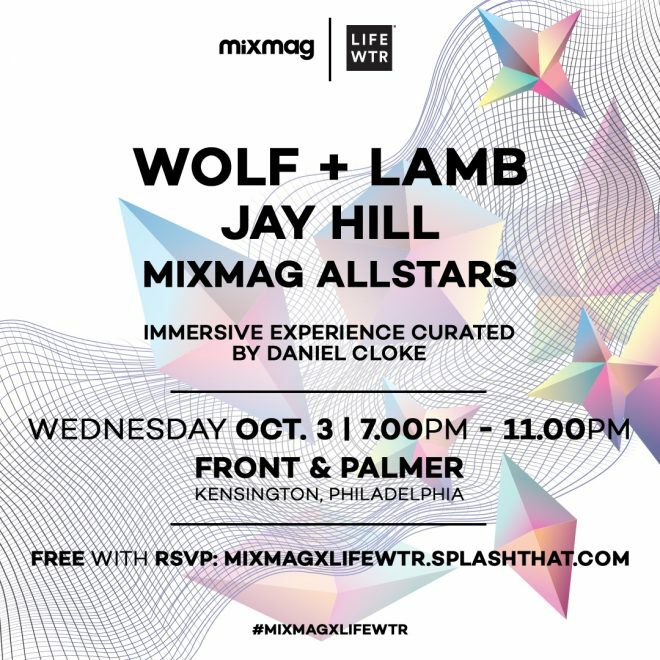 Mixmag has teamed up with LIFEWTR to showcase forward thinking art, design and music at an event in Philadelphia featuring Wolf + Lamb, Jay Hill and Mixmag All Stars along with a special installation curated by Daniel Cloke. Taking place on October 3 at Front & Palmer, located within the Kensington art district, the event will celebrate the new LIFEWTR bottle designs, titled Series 6: Diversity in Design. In partnership with the CFDA, the LIFEWTR Series 6: Diversity in Design spotlights bold, empowered and emerging designers including Jamall Osterholm, Daniel Cloke and Ji Won Choi, who are all part of the cultural mosaic of the fashion design industry. These creatives were tapped to deliver three unique bottles that express each artist’s diverse background while also revealing original perspectives that inspire positive change. To coincide with the artwork and Daniel Cloke’s installation, the event space will be soundtracked with DJ sets by Wolf + Lamb, the Brooklyn-based duo of Zev Le Wolfe and Gadi Mizrahi who also lead a collective of the same name that includes Soul Clap, No Regular Play, Slow Hands, Nick Monaco and more. Joining Wolf + Lamb to heat up the dancefloor will be Jay Hill, a Philadelphia-based DJ and producer whose material has landed on labels such as King Street Sounds, Induction Muzic, Static Music and FM Elle among others. The LIFEWTR and Mixmag collaborative event will begin at 7:00 PM on October 3 at Front & Palmer.